David Simon joined Mistra Urban Futures in September 2014 from Royal Holloway, University of London, where he still holds a part-time appointment as Professor of Development Geography. He was Head of the Geography Department there from 2008-11. He has vast international experience including grant-funded research on sub-Saharan Africa (especially Namibia, South Africa, Kenya and Ghana), Asia (especially Sri Lanka, Thailand and the Philippines), the UK and the USA. He has also served as specialist advisor to UN-HABITAT on cities and climate change, was one of only two academics on the UK Foreign and Commonwealth Office's specialist Africa Advisory Group prior to its disbandment, and has consulted for various NGOs and national and international development agencies. Furthermore, he is a Fellow of the UK Academy of Social Sciences. Of particular relevance to Mistra Urban Futures, he has served on the Scientific Steering Committee of the international Urbanization and Global Environmental Change (UGEC) programme since its inception in 2006 by the International Human Dimensions Programme on GEC (IHDP) but which is now within Future Earth. He is also co-chair of the Urban Transition Team leading the integration of UGEC with other research communities coming together under the umbrella of Future Earth to develop an urban thematic focus within its framework. 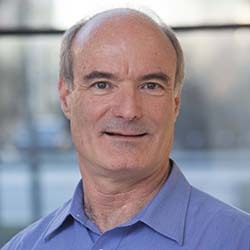 David Simon’s research focuses primarily on the interface between development and the environment, in the context of sustainability and global climate change. In relation to urban areas he has, among other things, examined the likely implications of environmental change for African cities and their populations, as well as seeking to understand how cities are preparing mitigation and adaptation strategies in response to climate change. He has also conducted research on aspects of political geography and critical geopolitics, urbanisation and transport policy. He has a keen interest in theoretical, applied and policy arenas, underpinned by the belief that real progress lies in a close integration across them. This is exemplified by innovative work that broke new ground in comparing how the urban fringe or peri-urban interface is understood, planned and used around the world as the basis for mutual learning and formulating more appropriate policies in different contexts. In a similar vein, David formulated and led a unique pilot project for Mistra Urban Futures during 2015, using our Local Interaction Platforms as comparative testbeds for the draft targets and indicators in the Urban Sustainable Development Goal being formulated for the United Nations. David holds a B.A with Distinction from the University of Cape Town, B.A. (Hons) from the University of Reading and a DPhil from the University of Oxford, where he was a Rhodes Scholar.